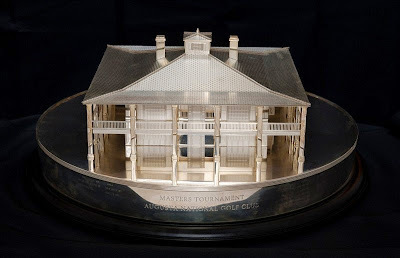 Every year at The Masters Tournament the winner is given a trophy - a replica of the Augusta National clubhouse that, around its base, has the names of all the Masters Champions engraved. 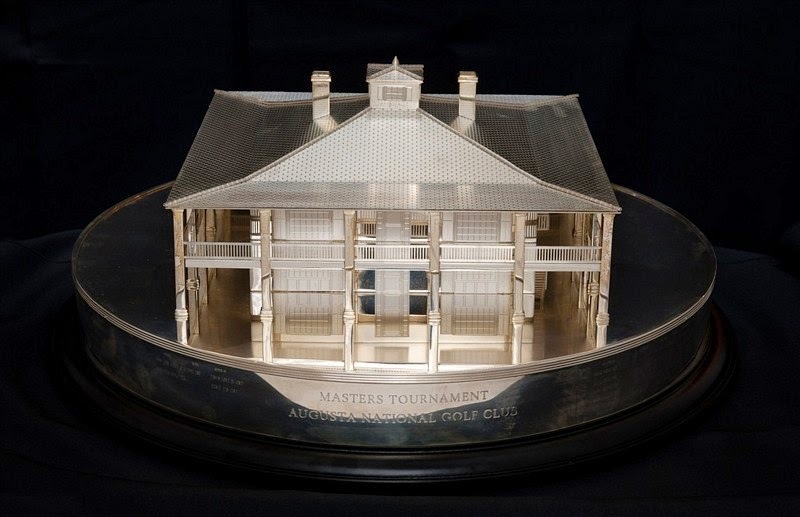 The trophy the winner gets is a much smaller replica of the permanent Masters trophy that resides inside the Augusta National clubhouse and never leaves the grounds. So why is Green Jacket Auctions claiming it has the "Permanent" Masters Trophy up for auction right now? 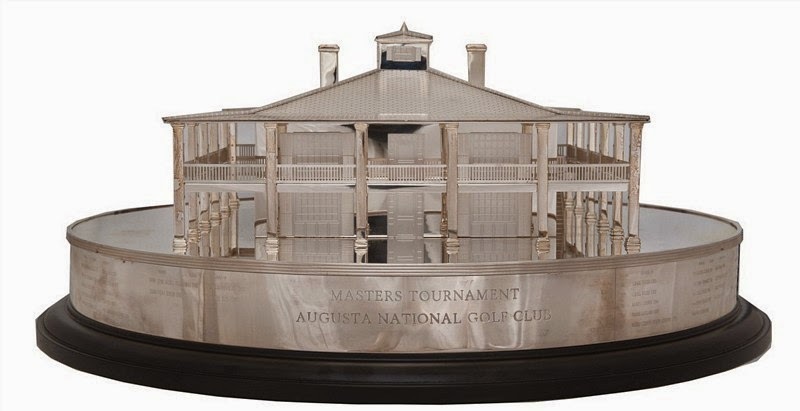 Because that's the nickname given to this particular rendition of the trophy, an intermediary size that was commissioned by Augusta National in 2000. This trophy is smaller than the real permanent trophy that is inside the Augusta clubhouse; but it's much bigger than the replicas given to Masters winners. So in collecting circles, it's become known as the "Permanent" Masters Trophy. So where does this trophy come from? According to Green Jacket Auctions, it was commissioned by Augusta National in 2000 for a golf museum that was being planned for Augusta, Ga. The club gave the trophy to the museum, but attached a rider: if the trophy is ever put up for sale, the club has first option to purchase. That museum never reached fruition, however, and the trophy was, indeed, offered for sale. But Augusta declined to buy it back. And so the trophy went out into the collecting world. It's been in the collection of an Atlanta businessman for many years, but now it is on the auction block. The auction house started it with a minimum opening bid of $10,000, and as I write this the bidding is up to $37,978. The reserve price has not yet been met. The auction runs through April 11. You can follow it on the auction page.